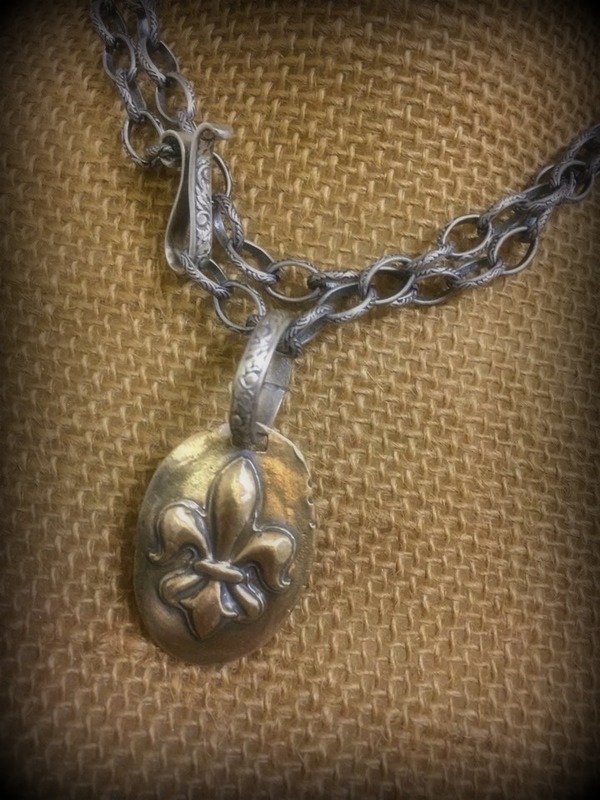 Bronze fleur de lis charm on large round sterling silver bail. Necklace sold separate. All charms are handcrafted and may vary slightly from picture shown.